Please Donate to save a life! Donations are being excepted NOW!!!! Your donations will go to the National Breast Cancer Foundation. Please get your ticket now to help raise awareness for breast cancer in October 2013! This Walk is for MEN & WOMEN!!!! We need everyone's support! Please bring a friend. Everyone will be entered into a raffle drawing with your receipt from your donation. Please wear pink for the cause!!! You can order your T-Shirts for this event for only $10 by clicking on the link below. I started my organization without a logo design. After constant request of submitting a letterhead with my company logo included I had to look for a logo design for my website and blog. After constantly looking for a website that offers a design that fits my budget and need I came across www.zilliondesigns.com. They provide a very user friendly platform to work with multiple talented designers without all the complications that other designing sites put you through. The price is very very reasonable and has affordable packages to choose from. We was looking to hire someone to create our logo for us but instead I desided to search the web for our logo. To be truly honest I don’t know if hiring a personal design would have been durable for us financially. We have been in business since 2010 and have yet to find a logo that we could afford. Zilliondesigns offers a lot of design services with the option of getting unlimited revisions until YOU are satisfied with what you are looking for. The site is great. With all the designers around the globe, I must say that www.zilliondesigns.com has the best offers, the best team to work with. I was able to get my design without getting frustrated. The most remarkable thing about www.zilliondesigns.com is that they have more than 50,000 designers around the globe and you can create your logo with the help of these designers and make changes within the process time period. All you have to do is just mention your requirement and the designer will give you multiple choices to pick your design from. I would highly recommend www.zilliondesigns.com to all of you. 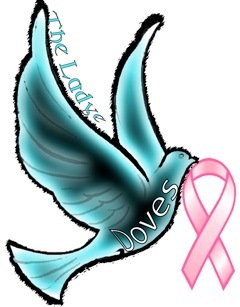 The Ladye Doves enjoys giving back to the community. Each year we host a back to school picnic for school age children. The picnic is supported by Alderman Willie B Cochran of the 20th Ward. The event is also supported by the local businesses by way of awarding a number of children with free haircut's for boys and free salon services for girls. This program has also been supported by the Chicago Fire Department, Chucky Cheese for kids and Lutheran Social Services. This program allows the children to have lots of fun, dance to positive music and enjoy great entertainment. The Ladye Doves enjoy fundraising to provide the children with free school supplies, free food and free entertainment. The Ladye Doves Award of Excellence is a program that awards young ladies at Emmett Till Academy with a certificate of recognition. These students are recommended by the teachers at Emmett Till as students that has made a change in there behavior, their academic's and in their ability to show support among there peers. The student has to maintain a C average throughout 7th & 8th grade, display good attendance, have made an impact on someone else's life in the community and have plans to go to college. A 500 word essay have to be turned into us on why they deserve the Ladye Doves Excellence Award. In return we award the students with a cash valued gift card, the opportunity to be mentored by a Ladye Dove and an award of excellence certificate. The most outstanding student receives an additional award. The Pillow Talk for teens is a program developed for at risk teenage girls. This program is support by the Department of Health for HIV/Aid's and Domestic Violence of Chicago. This is a mentoring program and consist of the Ladye Doves having a group discussion based on Domestic Violence, HIV/Aid's prevention and teen pregnancy with teenagers ranging from ages 12 to 21. Pillow Talk allows the teens to be more opened to a broader range of personal questions. We offer help with ways to deal STD, HIV/Aid's, Domestic Violence, Self Esteem/Self Respect and Teen Pregnancy. We also offer guidance with complicated situations among there peers, and help with preparation for high school and college. The group of ladies are provided with educational material, a sleep over night in a hotel and a chance to bond with young ladies that are going through similar situations. BOYZ TO MEN MENTOR PROGRAM SPONSORED BY THE LADYE DOVES Saturday March 30, 2013 2:00 PM - 5:00 PM Jackson Park- Park District 6401 S Stony Island Ave Chicago, IL 60637 Boyz to Men is a program developed for at risk teenage boys. This program is supported by the Chicago Department of Public Health for HIV/Aid's and Domestic Violence. This is a mentoring program and consist of the Ladye Doves partnering with successful male prominent figures. We have a group discussion based on Domestic Violence, HIV/Aid's prevention and teen pregnancy with teenagers ranging from ages 12 to 18. The Boyz to Men program allows the teens to be more opened to a broader range of personal questions as well as guidance on gang violence, drugs and alcohol. We host an etiquette class in which the young men can invite there peers to be apart of. We also offer help with high school and college preparation. The group of young men are provided with educational materials, a day of enjoyment with The Ladye Doves and a chance to bond with young men that are going through similar situations. For tickets are only $10, please contact a Dove member or inbox us for more info! 100% of your donations will go to the National Breast Cancer Foundation. Please get your tickets now to help raise awareness for breast cancer in October 2012! We will provide you with water, refreshments and educational material on breast cancer. Follow the link below. We need everyone's support! Please bring a friend, everyone will be entered into a raffle drawing with your receipt from your donation. Please follow the paypal link to purchase a shirt. 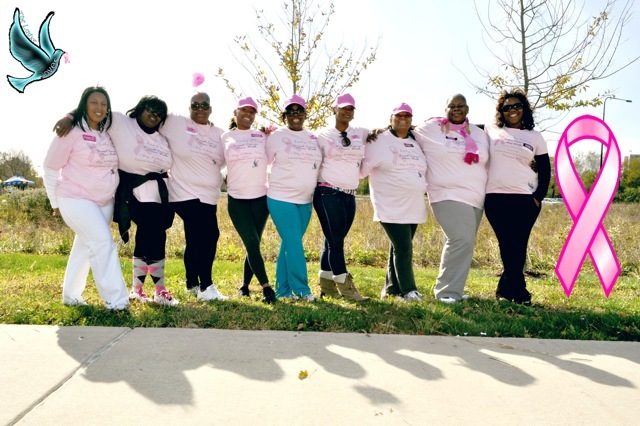 Please follow the link below if you are interested in being a sponsor for the breast walk. Please submit all applications by October 1st. Please Come out and support!!! !